Ryan Giggs says that Gareth Bale remains crucial to Welsh hopes as they prepare to begin their Euro 2020 qualification campaign. The Real Madrid player had a starring role as Wales surpassed expectations in reaching the sem-finals of the last European Championships in 2016. You have to take the rough with the smooth. He always turns up and is always brilliant around the camp. However, he has had problems with his club side this season with Real appointing Zinedine Zidane for his second spell as manager. Bale's long-term future in Spain remains uncertain but, with international football set to resume later this month, the Welsh manager expects Bale to perform as he always has for his country. Giggs said: "I expect Gareth to turn up and do what he always does, give everyone a lift. When he plays for Wales he gives 100% and more often than not he performs well. "You have to take the rough with the smooth. He always turns up and is always brilliant around the camp." 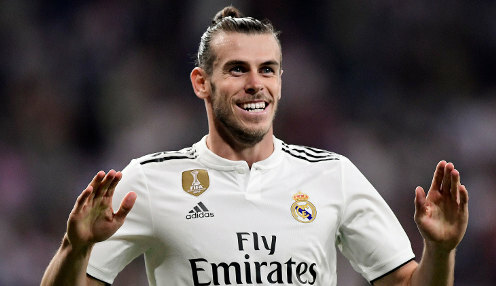 Giggs hopes that Bale will be fully fit for the internationals despite hurting his ankle in Real's Champions League defeat to Ajax and missing their La Liga game at Valladolid on Sunday. Giggs named a 31-man squad, including Bale, for a friendly against Trinidad and Tobago on 20th March which is closely followed by the first game of Wales' Euro 2020 qualifying campaign, at home to Slovakia. As well as Slovakia, Wales will also face Hungary, Azerbaijan and World Cup finalists Croatia in Group E with the top two qualifying for Euro 2020 which will, for the first time, be staged throughout Europe rather than having a host country. The semi-finals and final will be played at Wembley Stadium. Wales are 7/2 to qualify from Group E with Croatia 2/5 and Slovakia 9/1. James Chester and Andy King are out of the Welsh squad due to injury while Rotherham's Will Vaulks is included for the first time. Wales are 66/1 to win Euro 2020 with England 5/1 and France 10/3.